Maple wood is uniquely light with elegant, wavy grain patterns of just slightly darker mocha tones. This light wood makes it an ideal ideal for laser engraving, as the laser etches and burns the wood to create a nicely contrasting sepia brown. 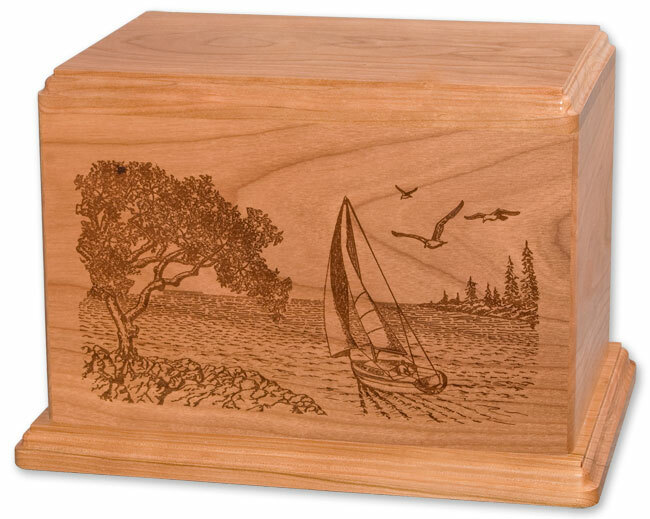 Maple is our preferred wood for engraved photo cremation urns, and works perfectly as an accent in our many 3-dimensional inlay art memorial urns. 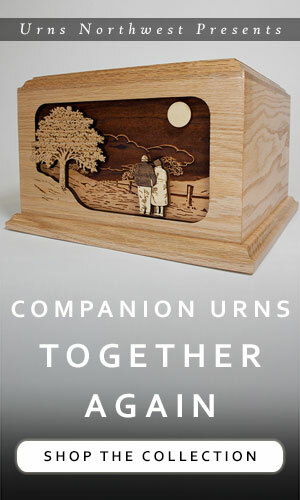 We offer a complete line of maple wood cremation urns made in the USA, using premium solid maple combined with superior craftsmanship to deliver an heirloom-quality product in honor of your loved one. Maple has been a standard wood used for making furniture in America for generations, even since the colonial days. Most of our maple urns are made with white maple, which is generally straight-grained with the occasional (and highly decorative) burl or “birds-eye” grain texture. Maple is a heavy wood, noted for its strength, durability, and resistance to abrasion. 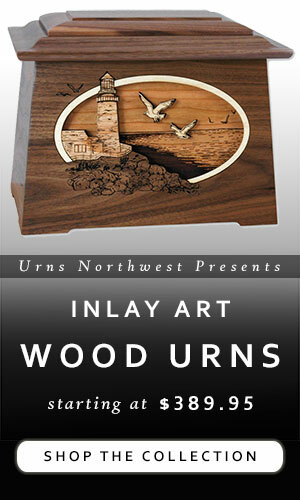 A stunning wood choice for our series of Dimensional Art Cremation Urns. Browse all of our Maple wood urns here. 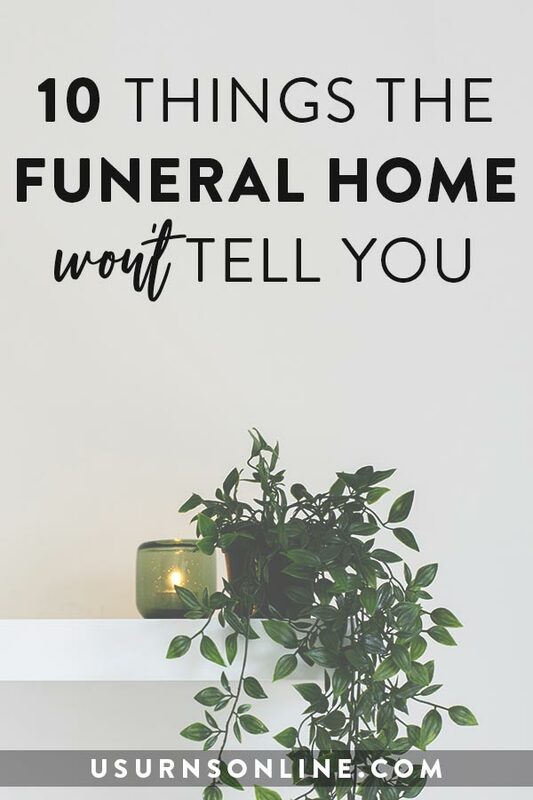 The white maple also provides the perfect contrast for engraving a photograph onto the wood, most notably seen in our best-selling Photo Engraved Cremation Urn.